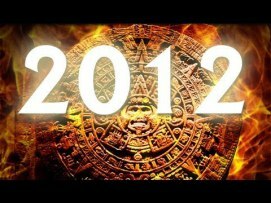 Mayan Apocalypse finally here! And Gone! By Nick Howell on 12/21/2012. Posted in NetApp. Tagged as 2012, 2013, apocalypse, communties, mayan, NetApp, podcast, subscribe, vpodcast. Wrap it up and tie a bow on it, folks. 2012 has come and gone. SOOOO much to talk about that happened in 2012, but it’s nothing a nice stroll through the blog roll cannot satisfy, so I won’t regurgitate here. I simply want to highlight some milestones for me, personally. First and foremost, it was my second full year at NetApp, and to say that it’s gone exactly how I had expected it to go would be a complete and utter lie. Some good, some frustrating, but nothing that I would even deem “bad.” I really am glad I made the move that I did, when I did. My days as an admin (10 years) were waning, and it was time for me to get out and evangelize the good word. We’ve had two solid trade show seasons now since I’ve been here, including 4 VMworld’s, 6 NetApp Insight’s, and 2 VMware PEX events. This also doesn’t include the numerous VMUG’s, customer briefings, etc, that I’ve been able to participate in. To all of you that I’ve met, thank you for always wanting to chat, and being outgoing enough to give feedback on our products, as well as this site and the content we produce. From NetApp field personnel, to our end-user customers, and even many of our competitors, you guys all inspire me to keep doing what I’m doing. So let’s talk about 2012. VMworld 2012: Let’s Get Ready to Rumble! By Nick Howell on 08/26/2012. Posted in VMworld. Tagged as 2012, NetApp, VMware, VMworld. VMworld 2012: Let’s Get A Head-Start! By Nick Howell on 04/11/2012. Posted in VMware. Tagged as 2012, NetApp, VMware, VMworld. Here we go again! No rest for the weary! Whether you realize it or not, VMworld 2012 is right around the corner! Roughly 4 months from now, 10’s of 1000’s of people will converge on San Francisco for what I would consider one of the biggest conferences of our industry. And by biggest, I’m not referring to head count. There’s just something about the atmosphere at VMworld’s that is different than an Oracle OpenWorld, or a MS TechEd, or a Cisco Live! By Nick Howell on 02/18/2012. Posted in NetApp. Tagged as 2012, Cluster-Mode, DataONTAP, NetApp, Storage.